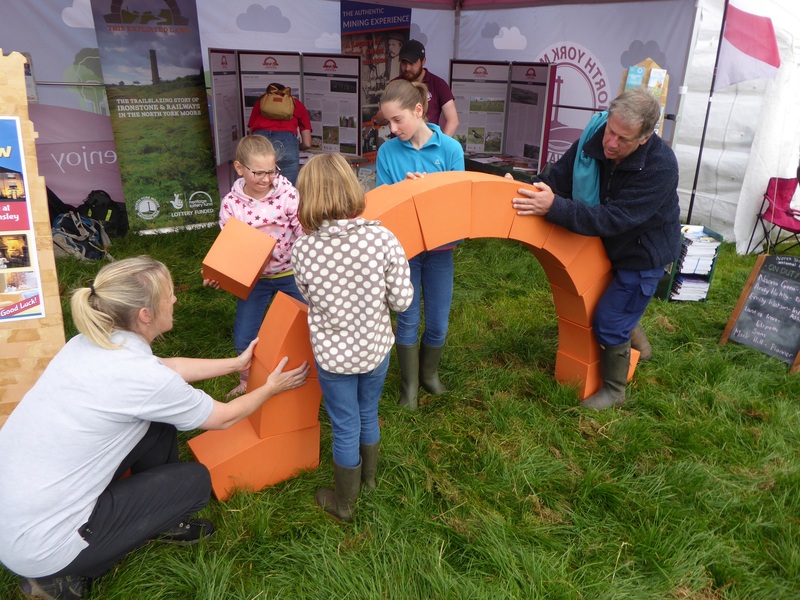 Now at the end of Autumn, here at the North York Moors National Park, the Heritage Lottery funded Land of Iron team look back at what have been busy and satisfying months of activity and look forward to next year. We’ve been working on ensuring that the landscape and ironstone heritage of the North York Moors will be in better condition and better cared for, valued by more people with a sustainable future, by the end of the This Exploited Land of Iron (TELoI) programme in 2021. 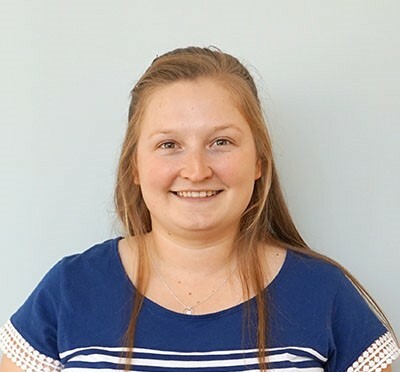 We have recently welcomed Kim Devereux-West to our team as the new Cultural Heritage Assistant. Kim will be working closely with our Cultural Heritage Officer Maria Calderón in conserving the industrial monuments found throughout the Land of Iron area. Kim will be joining Maria on a number of site visits helping to establish the condition of the historic ironstone industry buildings and associated rail infrastructure, and drawing up conservation plans. 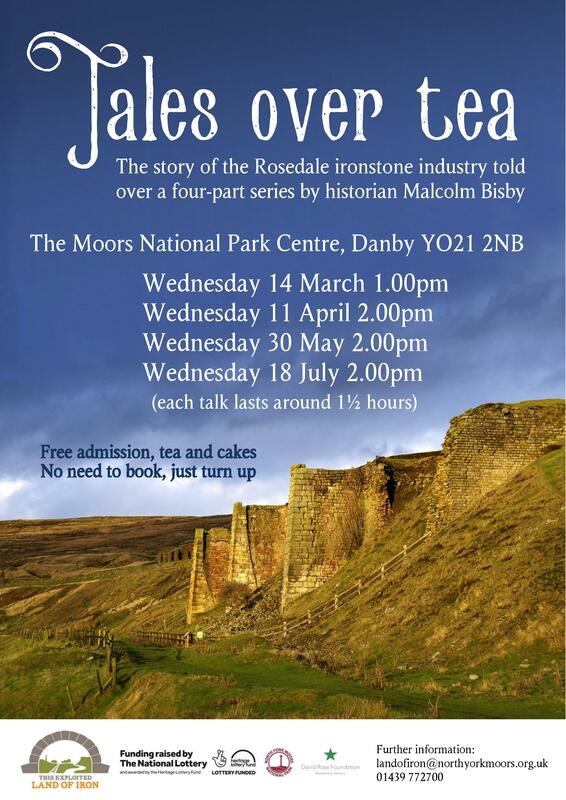 In addition Kim will be assisting the Historic Environment team at the North York Moors National Park Authority by helping to manage the all important North York Moors Historic Environment Record, the regional archive of ancient and modern human activity here that is open to both researchers and members of the public. Please look out for Kim, and give her a warm welcome. 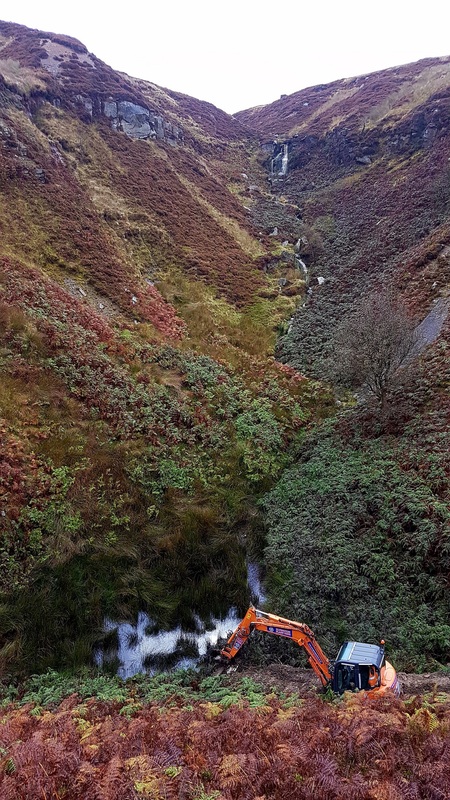 We’ve recently carried out some truly fantastic team work which achieved an excellent result – we’ve uncovered the stone culvert at Reeking Gill in Rosedale. The culvert was built as part of the Rosedale Railway which was operational from 1861 until 1926 when the ironstone mines there were no longer profitable and therefore closed. Now once again the magnificent keystone at the centre of the arch has seen the light of day. This is after more than 20 years of being buried beneath compacted silt and boulders from the effect of natural processes above in the gill once the culvert was no longer needed and therefore no longer maintained. With the dedicated efforts of Shaun, our JCB digger and driver extraordinaire, and persevering volunteers and Land of Iron personnel, we managed the first step in the consolidation of the Reeking Gill culvert with the ultimate aim of conserving the working structure. 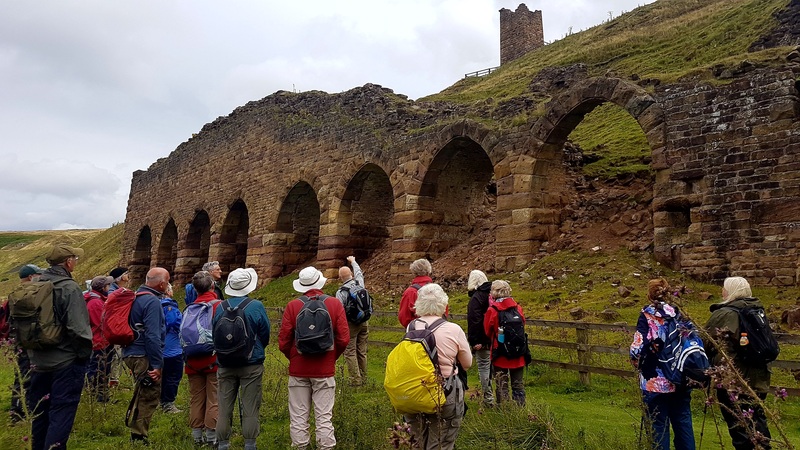 This has been one of the programme’s core aims within its first year as Reeking Gill is a major structure within Rosedale, and a striking reminder and relic of the once-thriving ironstone industry in the landscape. The ongoing Reeking Gill restoration work is one example of the work the Land of Iron team will be doing ‘behind the scenes’, alongside the more public and volunteer-led public community archaeology digs and activities run by Maria Calderón and natural environment events to be run by Elspeth Ingleby, our Natural Heritage Officer, over the next few years. We’ve been making sure we have a full roster of exciting community-led events and fun-filled activity days (and nights) for 2018, with another community archaeology dig, lots more guided walks and specialist talks, and a little bit of star gazing. We have recently concluded the initial round of our grant allocation for local community groups and individuals to deliver small scale projects that help to deliver our vision and aims for the landscape and heritage in the Land of Iron area. We are excited to see how the grant aided projects develop and are keen to keep spreading the word around our region as the grants are available to apply for throughout the year. The next application deadline is 31 December, for a decision by the end of January 2018. It is advisable to discuss your project idea at an early stage with the team before submitting an application. Please note that around 25% match funding is generally required. 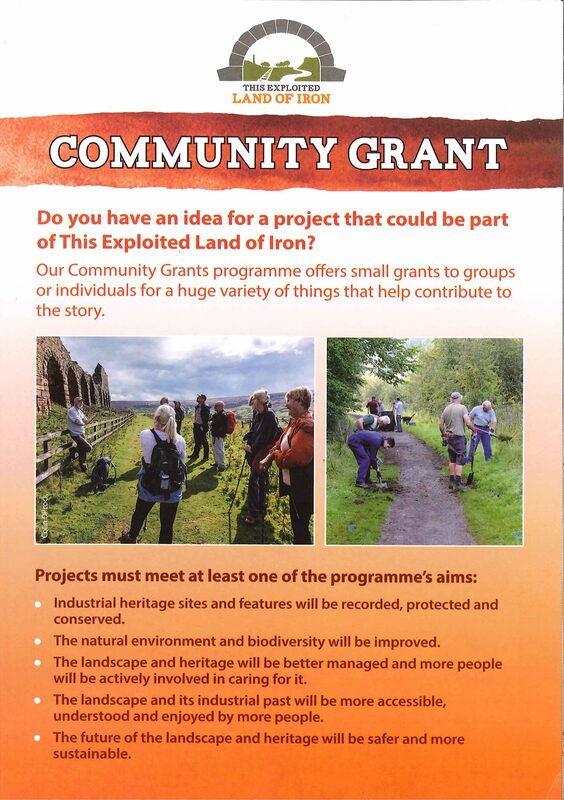 If you’ve got an idea for our Land of Iron Community Grant please send us an email or give us a call on 01439 772700 to find out more. Or see our website page. Assessing the latest round of Community Grant applications to see what exciting project ideas there are for the Land of Iron and to see how we can help them come to fruition. Researching mine water discharge along the Rosedale Railway, to see how we can best help mitigate the environmental impacts that are still effecting the local biodiversity. 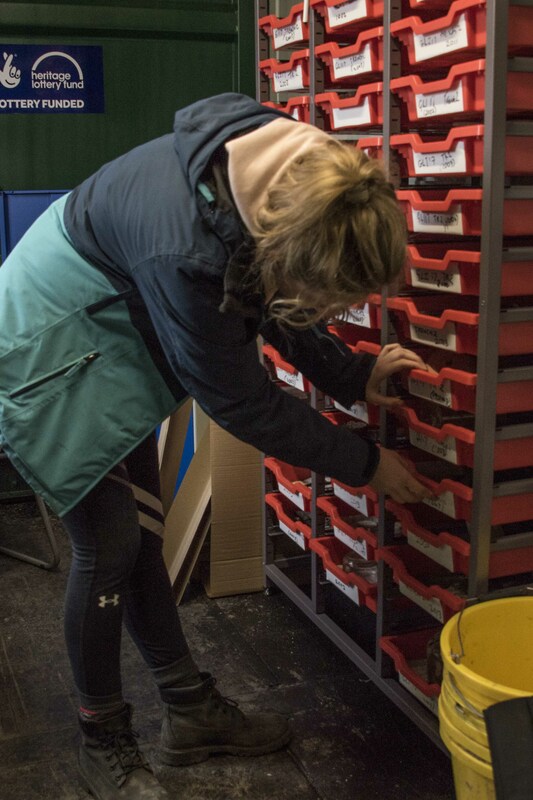 Giving new opportunities for volunteers to be involved in conservation and restoration efforts around the Rosedale and the Esk Valley areas each month with Dawn Rothwell, our Volunteer Coordinator. Contact Dawn on 07792 332053 or by email, to register your interest. If you’re interested in what we’re doing and what you can do to help, then please sign up to our mailing list or email us. For some great pictures of the landscape and features – click here. This Exploited Land (TEL), our HLF Landscape Partnership Scheme, is now building up steam with projects starting on the ground and the recruitment of new project staff underway. As well as myself we’ve got Elspeth Ingleby as our Natural Heritage Officer and Thelma Wingfield as our Administrative Assistant. 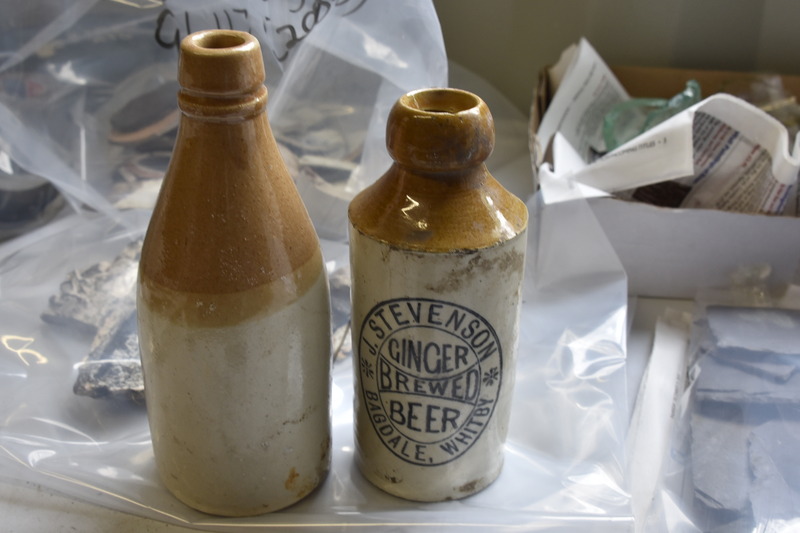 The remaining two TEL vacancies for a Cultural Heritage Officer and a Volunteer Coordinator are expected to be filled by January. Special thanks to Louise Cooke for building and nurturing the Scheme to where it is today. We hope Louise will continue to be involved with TEL and will see all the project ideas become a reality over the next five years. 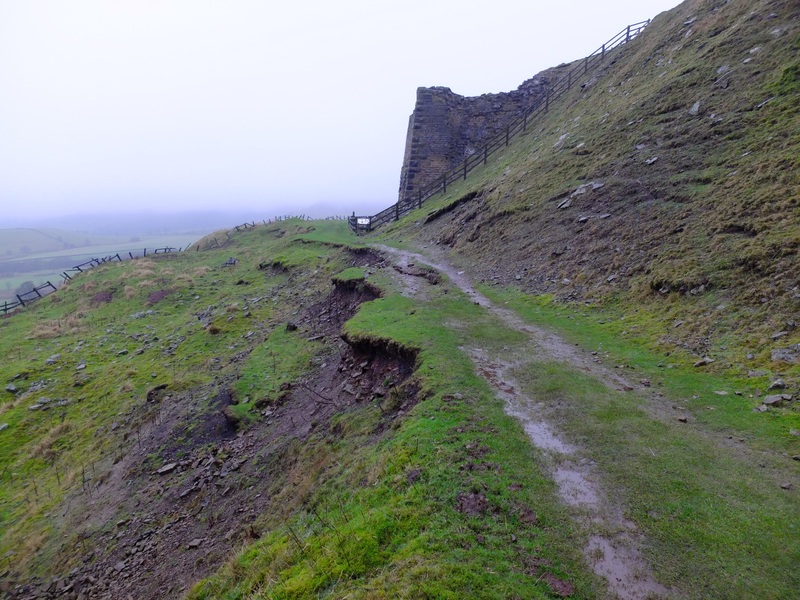 One of the first projects underway is the repair of the landslip at the East Kilns in Rosedale. The landslip is on the line of the old Rosedale Railway and is a popular route round the top end of the dale. The remedial engineering works will maintain safe access along the path, enable vital practical access to the two sets of kilns which will be subject to major consolidation during 2017/18, and help conserve into the future the distinctive landscape feature of the railway embankment as it carves its way along the hillside. The works to stabilise the embankment and rebuild the path involve digging away all the loose material down to firm foundations and constructing four tiers of stone-filled gabion baskets topped with a new stone path. The front of the baskets that will be visible after the works have been faced with soil filled bags containing a specially selected moorland grass seed mix. Despite the cool autumn weather this seed is already germinating. The works are due to be completed and the path reopened by mid-November. During the works archaeologists have been keeping a watching brief to help identify and understand the construction of the railway. A couple of original sleepers were salvaged, one with the track shoe still in place. 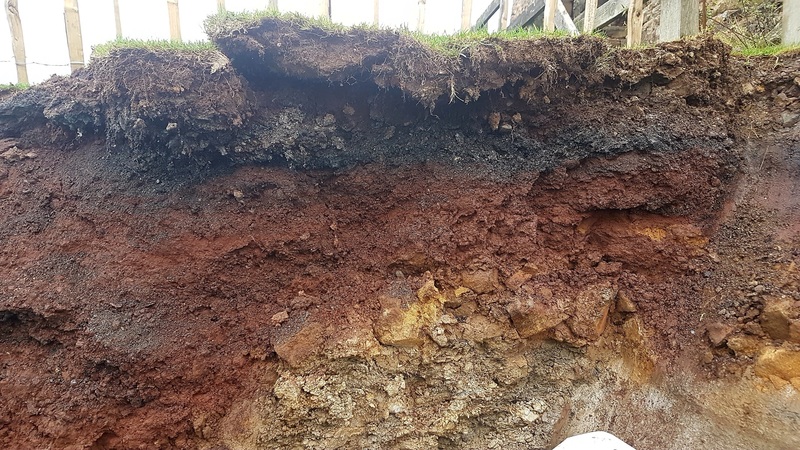 The profile of how the track was built up using waste from the calcining kilns (red/brown) and cinders from engines (black) can be clearly seen in the photograph below taken during the excavation. Regular monitoring of the landslip by local residents reported on the Rosedale Abbey Blog had showed the slip getting progressively worse so time was of the essence for these repairs at the beginning of TEL. Now the same residents have been reporting on the works underway and will continue to monitor the site as it recovers. To sign up for the mailing list for This Exploited Land and find out more about our exciting Landscape Partnership Scheme – see here. This poem was written in the early 1930s at the end of Rosedale’s industrial age, and is a rare primary source. 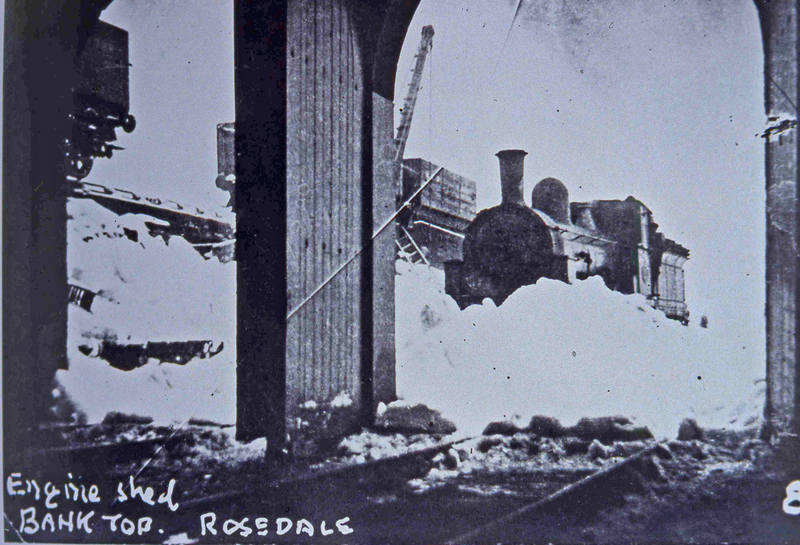 The Rosedale Railway had just closed in 1929, the last working component in the area’s ironstone industry. The rhyming couplets present the landscape and the character of the dale, at that particular point in time, referencing the industrial structures alongside natural features, local buildings and people. 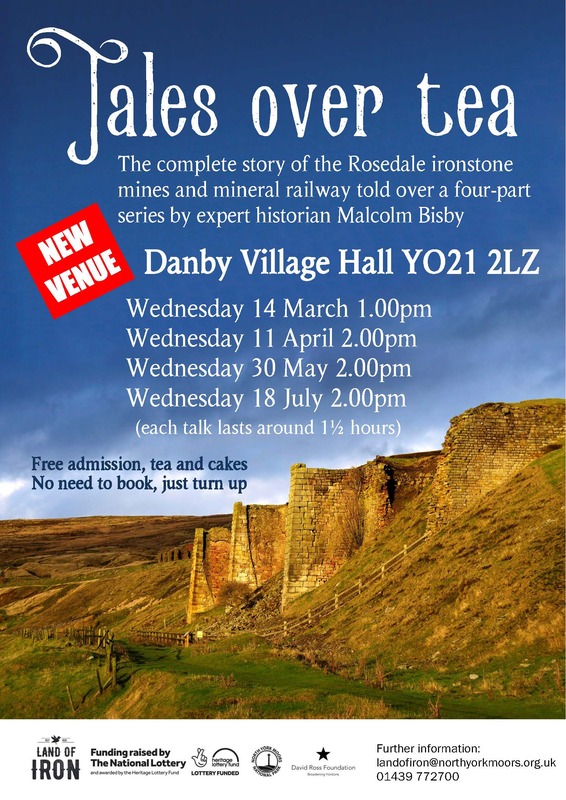 There is an impression of time and continuity – linking before industry and after – the dale is returning to ‘Quietude true and sincere’, the mines are already ‘old’, and the name Leeman (co-owner of the 19th century Rosedale and Ferryhill Iron Company) is falling out of use. But the shops are still open, left over from ‘Busier days’, and there is a proviso – ‘For the present’ – attached to the ‘engines and drivers have gone’, as if industry could yet return. Which leads into Rosedale, of which I shall tell. But her beauty’s the same as of yore I ween. Which can easy be seen for any a mile. In the vale where the violets and bluebells grow. For the present its engines and drivers have gone. To one, Florence Leeman its name we trace. ‘ere’ the beautiful avenue comes into sight. When lads we thought that they reached to the sky. For the names of The Lads are recorded there. 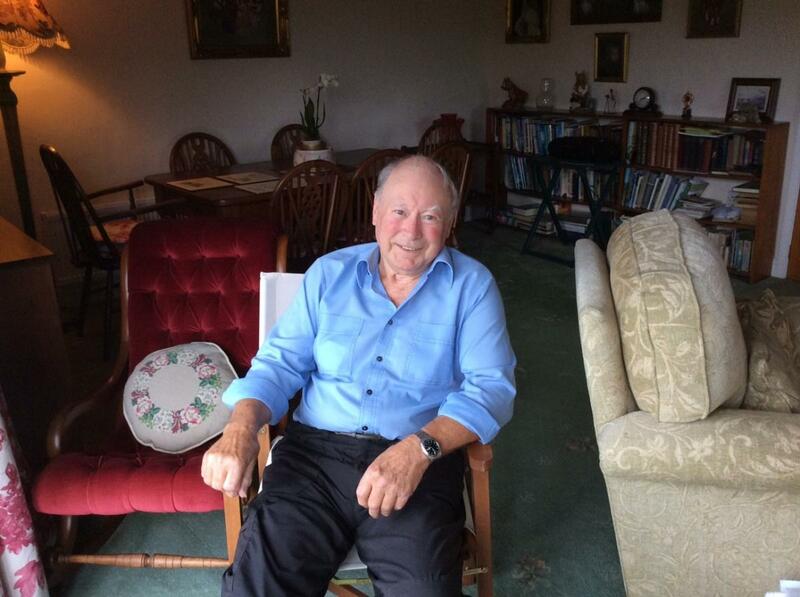 He lives at Burn’s cottage, Primrose Villas you know. The pleasant home where Mat Peirson’s reside. It has now got another name “School Row”. The Travellers Joy, and the white Heather grows. You will find on its hillside the place called Job’s well. For quality this was the very best. You’ll find Robert Watson still there casts his lot. If you love this life best you may find it here. He has often had boots sent from Scotland to mend. At whose store nearly everything they sell. You will find Charley Waller lives down in the dell. Where the Rock pigeon nests and the fox has its young. And the streams trickle down through the leafy maze. May often be heard the Wood Peckers cry. But here as else where it comes once a year. The Peirson’s have lived here for many a year. Where the motorist oft fail on the hair-pin bend. Relics of the industrial structures can still be found in Rosedale, as can the woodland and moorland, the trees, the buildings, and the family names. Although the Chimney has gone, Chimney Bank with its ‘Zig Zag climb’ remains. 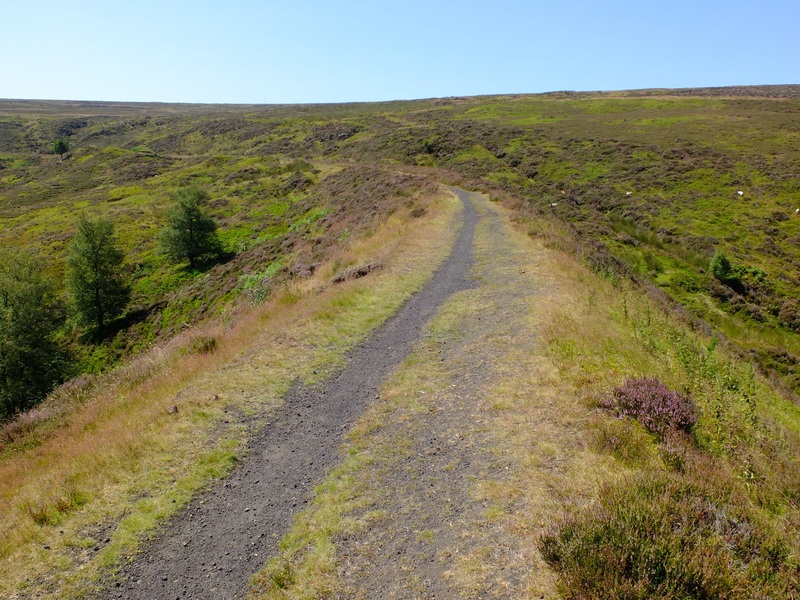 The This Exploited Land Landscape Partnership Scheme (the trailblazing story of ironstone and railways in the North York Moors) will help understand and enhance the landscape and its legacy of 19th century ironstone exploitation, preserving it for future generations. Operating from 1861-1929 the Ingleby Incline section of the Rosedale Railway is a significant landmark in the TEL landscape. The incline connected the edge of the upland with Battersby Junction below, and the line onwards to Teesside and County Durham. 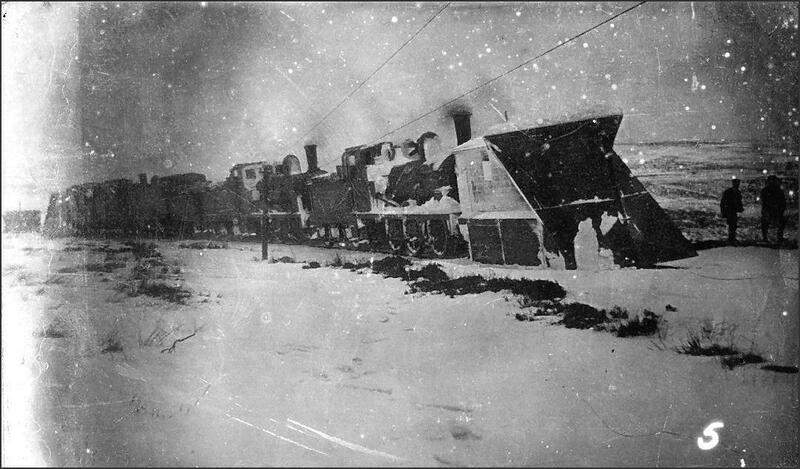 At this point the railway line rose up to 417.5m from a lower elevation of 183m over a distance of just 214m. The gradient of the incline itself averaged 1:5.5 and was 1:5 in places. 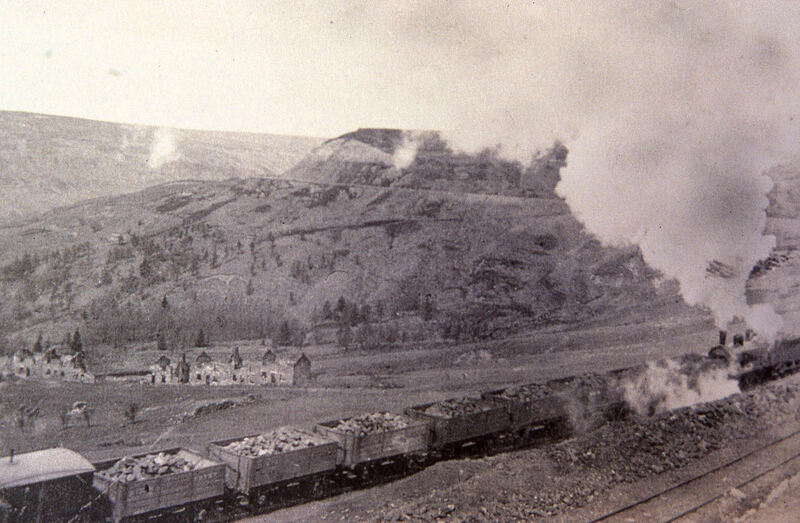 It was a self-acting incline allowing ore laden wagons to be lowered down from the upland top whilst pulling back up empty wagons from the Battersby lowland level. 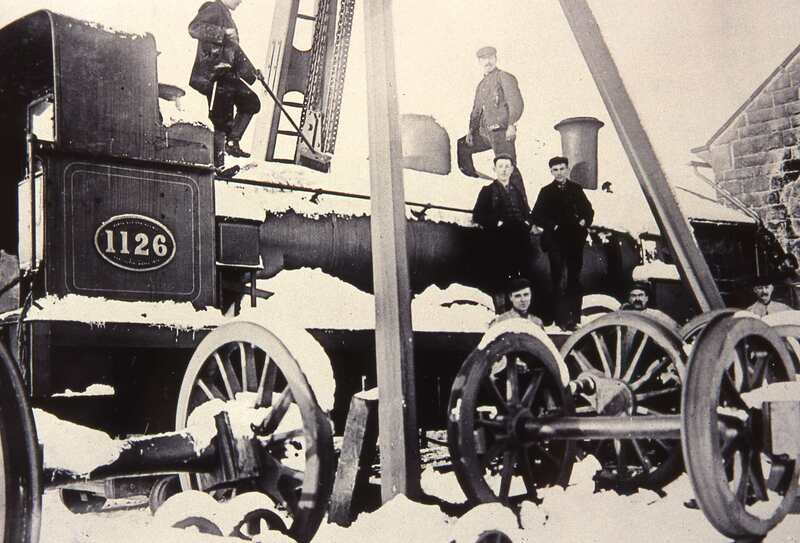 The operation of the incline was not without risk, including the danger of runaway trucks – and a number of fatalities were recorded during its time in operation. After the abandonment of the railway in 1929 the remaining features at Incline Top were later destroyed by the Royal Engineers in World War II to prevent their use as a navigation aid for aircraft, potentially guiding the way to industrial Teesside. However a large amount of very substantial stone work, brick work, timbers and metalwork survive on the surface, or buried just below the surface. Looking up Ingleby Incline – remains of the tracks still visible. At top of Ingleby Incline – substantial stone work. 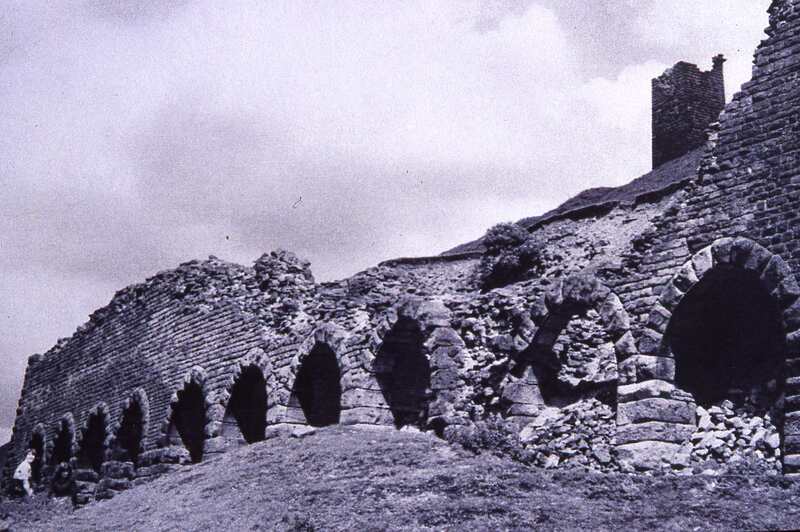 The whole site has been damaged by weather and erosion – resulting in fracturing of brickwork, erosion of mortars, deterioration of timbers and stone. The fragmentary nature of the site and the damage and the subsequent removal of brickwork and stonework makes this site particularly fragile and the archaeological features are particularly difficult to read as so little remains in situ. But our understanding of the site is greatly enriched by surviving engineers’ plans and historic photographs – by T W Brotton (photographs c. 1890-1910) who worked at the Weigh House at Ingleby Incline Foot, and photographs by Tom Page, William Hayes and Raymond Hayes. Ingleby Incline – remains of of metal and stone features. Ingleby Incline – remains of brick features. Brake Drum House. Stone, timber and slate roofed structure. Constructed 1859-61, this original structure (which was the northern-end) housed 14ft diameter drums, this was damaged by fire in 1869 and repair carried out with replacement 18ft diameter drums. The drums wound the cables lowering and raising the laden and empty trucks. The structure is no longer in situ. The very large blocks of stonework have been pushed to the eastern side of the track bed. Brake House 1 (eastern). This was constructed 1859-61, and served to control the speed of wagons on the incline when the 14ft diameter drums were in use. This was left as a ‘spare’ after the 1869 fire. This structure survives only slightly with some brick walling on the western side (where it is more protected from the raised ground). The surviving brickwork is now extremely fractured. Brake House 2 (western). This was constructed in 1870 and served to control the speed of wagons on the incline when the 18ft diameter drums were in use. Little of this structure survives in situ – with just a few courses of the eastern wall. However there are very substantial quantities of timbers, and fractured brick work that has fallen down the slope to the west. The surviving brickwork is extremely fractured but has distinctive stamps of ‘Hartley … Castleford’. Keps. These inclined planes with stone revetment walling were part of the incline control mechanism to prevent run-away trucks. They survive as low earthen ‘mounds’ with some of the revetment walling still in situ – but this is truncated and now fragmented where stonework has been robbed and/or fallen. Much of the mortar has washed out so the surviving stonework has enlarged joints that will be more susceptible to damage. Cottage 1. A brick and slate roofed semi-detached cottage, some historic photographs show the garden plots having high-wooden fencing. This is now very fragmentary with little evidence on the ground but it did stand as more substantial walls until the 1960s/1970s. Cottage 2. A brick and slate roofed semi-detached cottage with a single-storey ‘office’. Much less now survives of Cottage 2 and examination of the aerial photographs shows that this was already substantially taken down prior to Cottage 1. Track. There were 5 tracks at the top of the incline, converging into two tracks for the incline itself, with diversion routes sited near to the top to manage ‘run-away’ trucks. 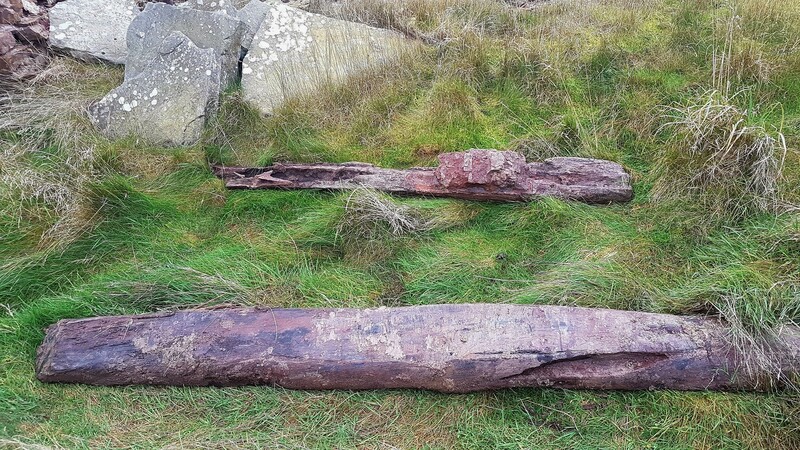 In situ timbers are exposed at the break of slope but these are damaged by pedestrian and vehicle access resulting in further surface erosion and exposure of the timbers. Last May, during the TEL development stage, a brief survey was undertaken at the incline site lead by members of the Kirby, Great Broughton and Ingleby Greenhow Local History Group. On site, we discussed and interpreted the extant features, measured the extant stonework, and created a photographic record. Subsequently the Group have analysed historic aerial photographs showing changes to the site over time, carried out archive research and assessed the condition of the remaining features. Should HLF funding be forthcoming, the plan is to undertake further survey and documentation at the incline site, and at other sites across the TEL area. These smaller sites may not look as majestic now as remains such as the Rosedale Calcining Kilns, but each are an important gearwheel in the story of the ironstone industry and its communities. 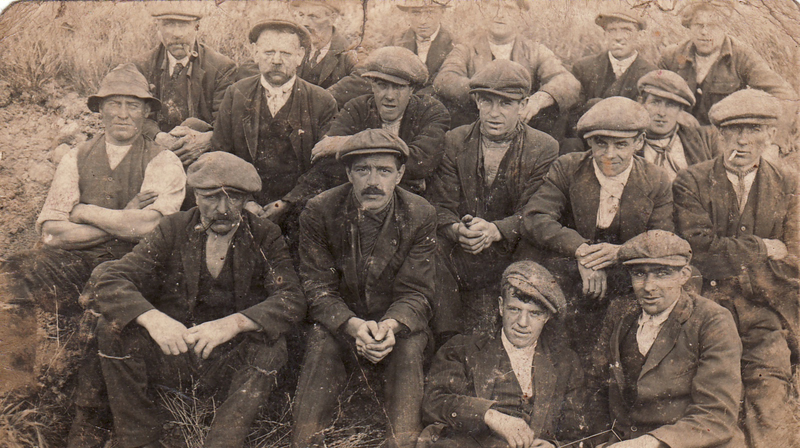 I have always been fascinated by old photographs and, since it was formed nearly 10 years ago, I have been acting as photo-archivist for Kirby, Great Broughton and Ingleby Greenhow Local History Group. 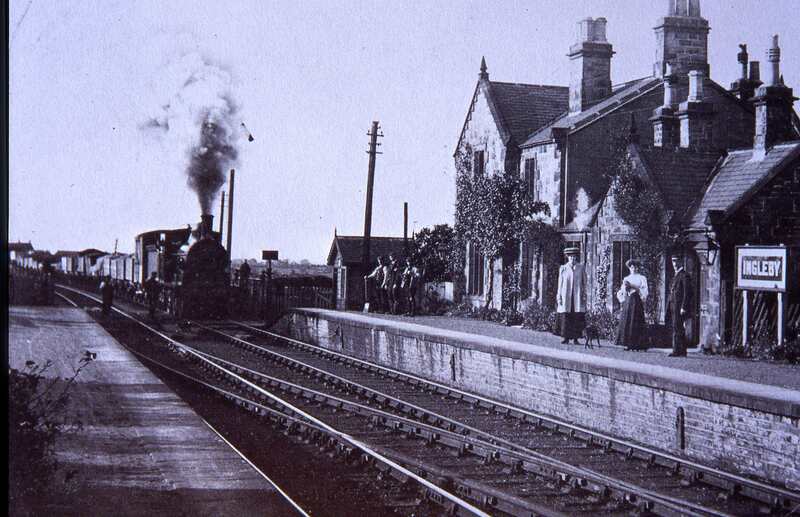 One of our first projects was to mark the 150th anniversary of the opening of the Rosedale Ironstone Railway, and in the course of the production of a heritage trail and a web site (www.rosedalerailway.org.uk), I had access to a number of old photographs of this awe-inspiring enterprise. Last year, as part of the TEL project, I joined a group of fellow History Group members and NYM officers to survey the old industrial remains at the top of the Ingleby Incline. I took with me copies of old photographs and endeavoured to take new images from as near as possible to the old viewpoints. My initial plan was to produce “Now and Then” pairings of the new and the old but while processing the new ones, I came up with the idea of merging the century old photographs with their modern equivalents. With the help of the photo-editing software “Photoshop”, I managed to produce ghostly images appearing to loom out of the current landscape. They say a picture is worth a thousand words and for me these images evoke feelings that we are sharing the landscape with all those who have walked within it in the past. Ingleby Incline ‘in operation’ – Cottages, Brake Houses, Brake Drum House. 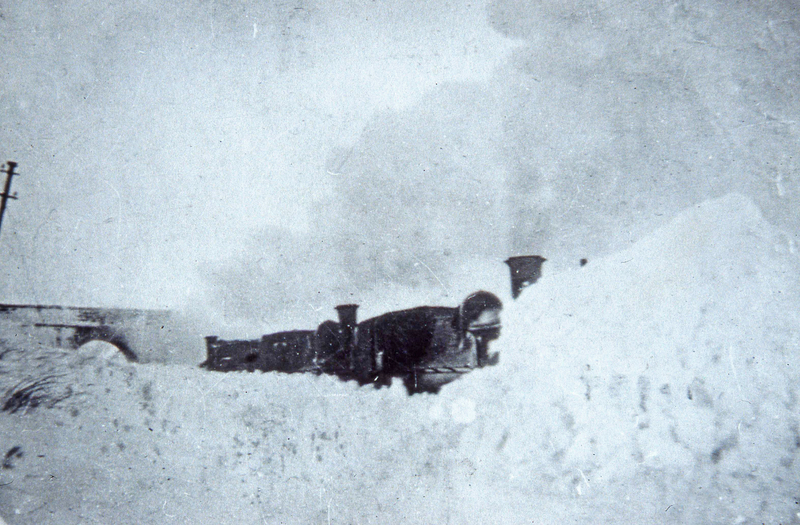 Ingleby Incline ‘in operation’ – Cottages, Brake Houses, Brake Drum House, and 2 small boys in the forefront. Ingleby Incline ‘in operation’ – empty trucks being pulled up the track by the cable. Ingleby Incline ‘in operation’ + operator – looking down the tracks.